Miso soup is delicious. We can all agree on that, yes? It’s the perfect starter course when you go out for sushi, but it’s so much more than tha.! Miso is great in salad dressings, marinades, and I’ve even used it in vegan “cheese” recipes. And when you put an egg on it, it’s a perfect breakfast! 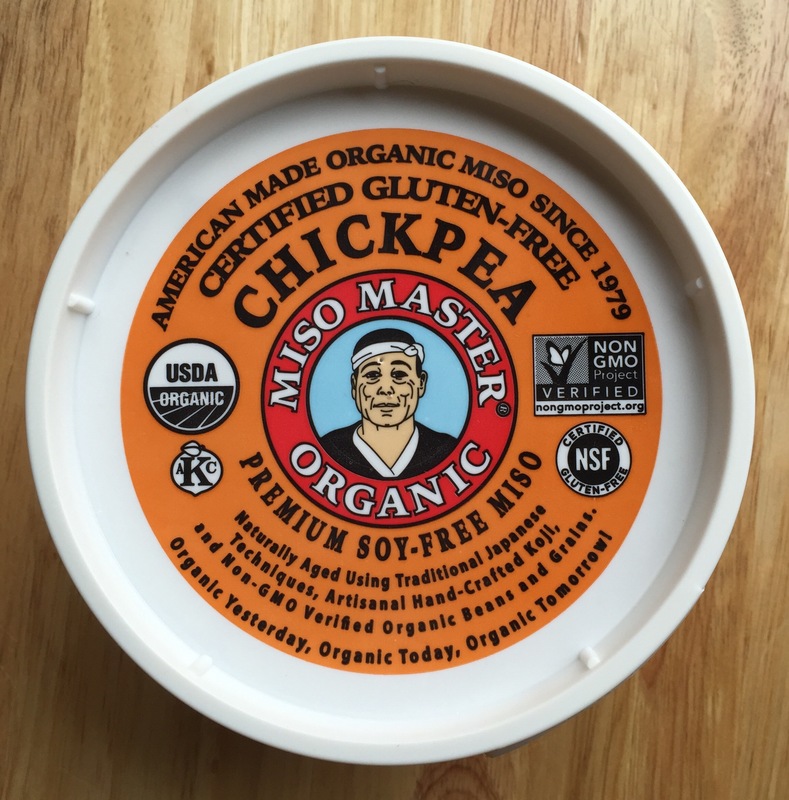 I **love** the Miso Master Organic Chickpea Miso. Some miso brands use barley koji in the fermentation, but Miso Master doesn’t mess around with that nonsense. They use rice instead, so I know it’s gluten-free. And I love that they make a soy-free miso, because my body is happier when I don’t eat too much soy. It’s delicious, and if you see it in your local natural food store, I highly recommend you give it a shot. As is true with most of my meals, this isn’t so much a rigid recipe as it is a set of guidelines and a process. I simmered the veggies for a few minutes until they began to soften, and then whisked some of that water and the miso together until completely blended. I filled up my bowl with the veggie/miso mixture and added the rice. Drizzle some tamari, toasted sesame oil, and sriracha on the soup, top with your poached egg, and enjoy! … but then you break that egg open, and it’s heaven in a bowl. Deeeeeelish! Miso is so delicious, I imagine it would make a lovely breakfast ingredient!